Published on julio 23, 2009 in Online Tools. 2 Comments Tags: Download, Generator, GNU GPL, Online, Open Source, Password, PHP, Random, Service, Source Code. Published on julio 22, 2009 in Excel add-ins. 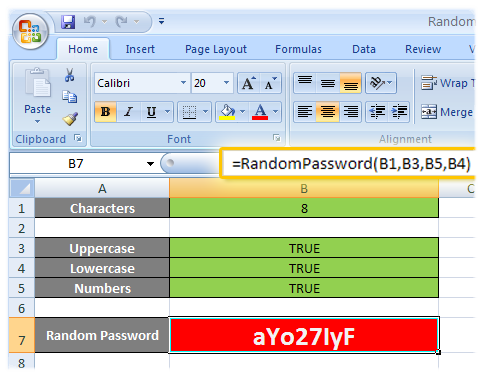 17 Comments Tags: Add-in, Download, Freeware, Generator, GNU GPL, MS Excel, Open Source, Password, Random, Source Code. Si no es esto lo que estás buscando, como alternativa, podés visitar el generador online de contraseñas aleatorias.